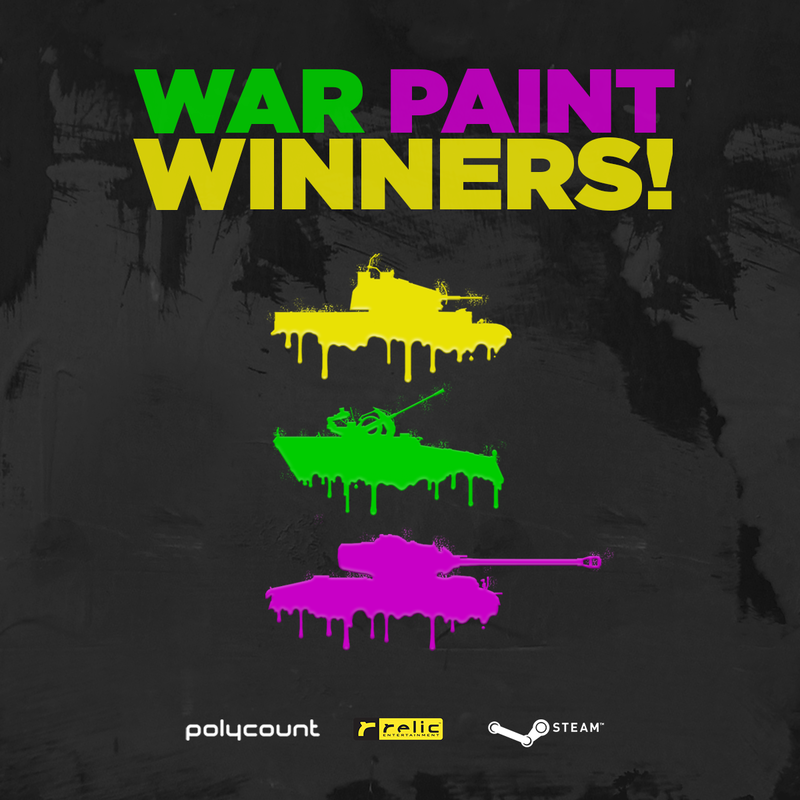 It comes with great pleasure to announce the winners of the Polycount War Paint contest. Relic received approximately 20 submissions in this contest and although we feel that every skin submitted could be classified as a "winner", we were able to narrow it down to our favorites. Thus, the winners have been broken down into two categories, Historical (one skin from each faction) and Non-Historical and 5 winners have been selected from each of the the two categories. Thank you so much to everyone that participated and congratulations to the winners! Keep an eye out for the next Polycount contest coming soon!